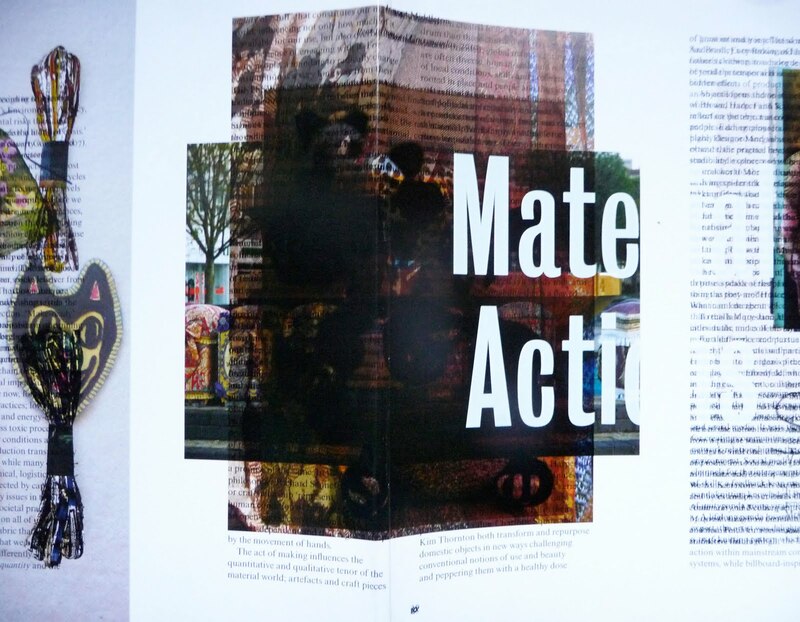 An exciting new publication to add new dimension to the ethical fashion, textiles and practice literature and debate, Material Actions, is published by Plymouth College of Art Press, 2010. This is a must-read with inspiring new insights into designers’ methodologies and approaches to social enterprise, action research, material/immaterial actions, hacktivism and cultural change. Billboard Skirts by Emma Neuberg, pp.24-5. “…Through the practice of stitching, felting, spinning, weaving, knitting, bonding, unravelling, cutting and draping fibre and fabric, textile artists bring evidence of a critical mass of activity around issues like resourcefulness, product longevity, materials reuse and repurposing, community building and connectedness with nature, giving us a glimpse of a new way of doing things..